You ever wonder what animals are doing when you’re not around? I did. Especially what they thought of some little structures I’m using for my field experiments this summer. So I set up some Bushnell TrohpyCams by a few structures to see who came by and what they wanted. There are some peanut butter coated oats near the cages as bait. There were also track pads, which some folks at Saguaro National Park were awesome enough to lend me….. but monsoon season is unpredictable, and a cloudburst wiped all the chalk off my tracking plates before I could get to them. Here are a couple of fun ones. I love that at the end of the second one, the desert cottontail rolls in the dirt, much like my roommate’s cat. 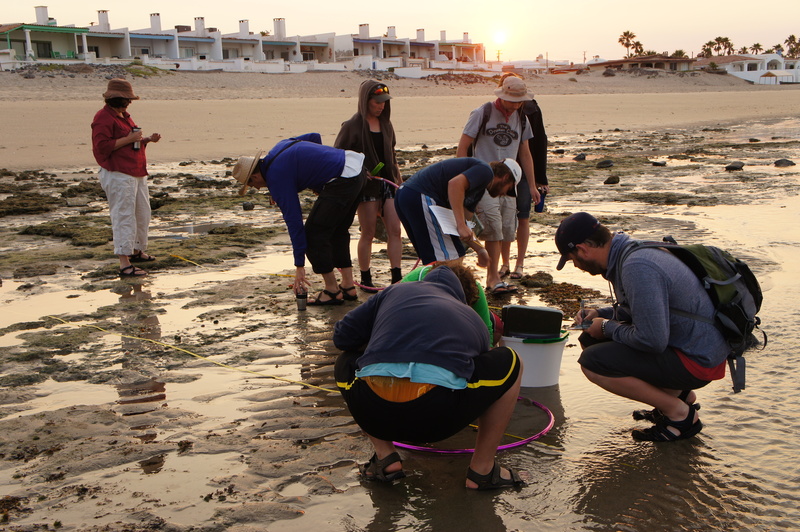 Tide pools and sea lions: still the Sonoran Desert? I am back in Tucson, after 3 weeks of the field course I have been posting about. CEDO’s visitor center in Rocky Point houses researchers, outreach staff, visiting groups like ourselves crashing on a wood deck, and events like their environmental contest that drew hundreds of people just yesterday. 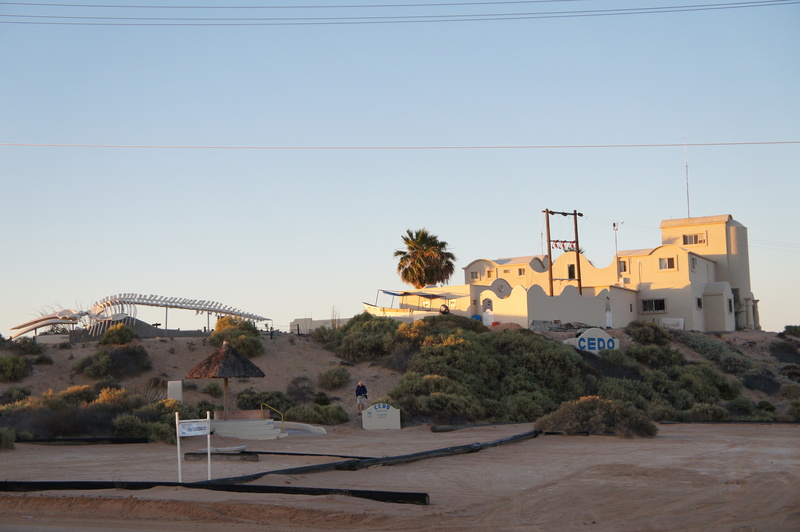 More photos and stories to come, but for now, we can say I’m already missing waking up to the sound of waves on the deck of the Intercultural Center for the Study of Deserts and Oceans (CEDO). There, we helped revive a recently neglected long-term data set on the composition of tide pools, danced in the mud until shrimp started crawling up our legs, and snorkeled with thousands of playful sea lions. Counting snails at first light in a hula-hoop sized area along four parallel lines leading into the surf.